Can I accept your ferocious call to dance? Great work by Professor Bukenya. A wonderful peace to read. 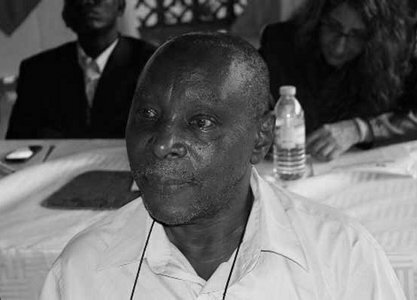 Austin Bukenya is best-known as a pioneering scholar in the discipline of oral literature, to which he and his teacher, Pio Zirimu, gave the now popular label, orature. Born in Masaka, Southern Uganda, in 1944, he went to high schools around Kampala and Entebbe and was a first-class graduate of the University of East Africa (Dar es Salaam) in 1968. He also studied at universities in Madagascar and England, and took his higher degrees at Makerere and Kenyatta Universities. He has taught languages, literature and drama at Makerere University in Uganda and universities in the UK, Tanzania and Kenya since the late 1960s. He has also held residences at universities in Rwanda and Germany. Bukenya is also a literary critic, novelist, poet and dramatist. An accomplished stage and screen actor, he was for several years Director of the Creative and Performing Arts Centre at Kenyatta University, Nairobi.